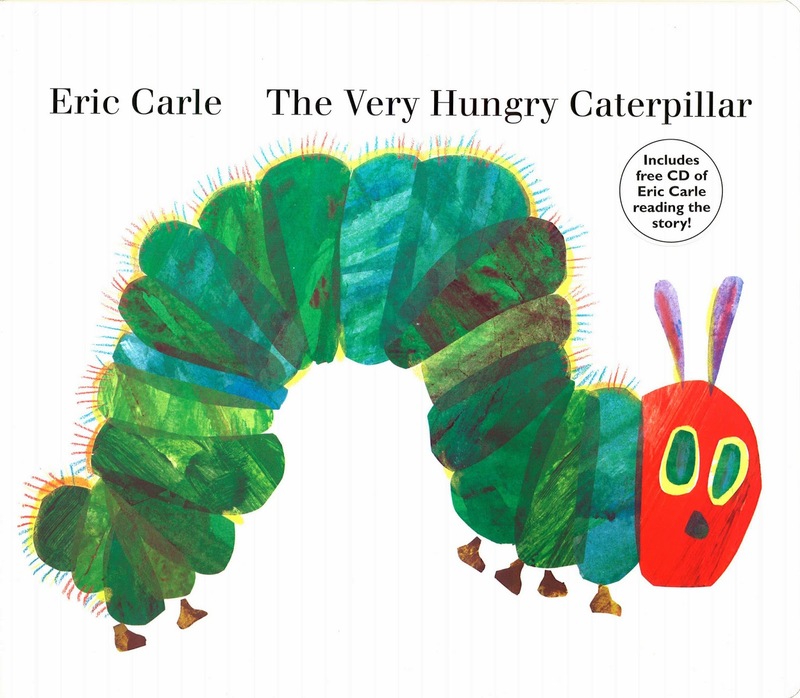 The Very Hungry Caterpillar by Eric Carle is one of our favorite books. When my kids were little we wore out our copy of the board book and now we have a hard cover version that we enjoy reading again and again too. The story never gets old. I have every single word memorized. 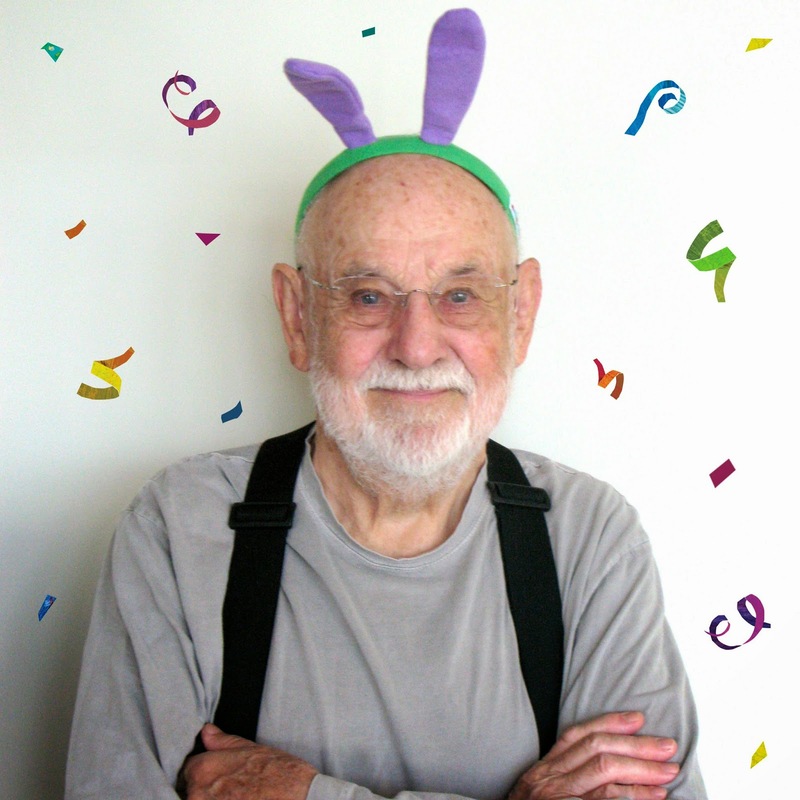 2014 marks the 45th anniversary of Eric Carle’s classic story, The Very Hungry Caterpillar. The anniversary will be officially celebrated on the annual “Very Hungry Caterpillar Day” which takes place every year on the first day of spring (March 20th). I am excited to be a Very Hungry Caterpillar official blogger as we celebrate this anniversary! Scroll down to check out the cool anniversary giveaway! 45 years later people are still hungry for this classic book and crafts and activities to do along with it because the story is timeless and simple. Today, every 30 seconds, somewhere in the world, a copy of The Very Hungry Caterpillar is sold. The illustrations are beautiful and the little holes in the book are so fun to handle. I love introducing this book to each of my kids when they are babies and reading it to them as they grow! 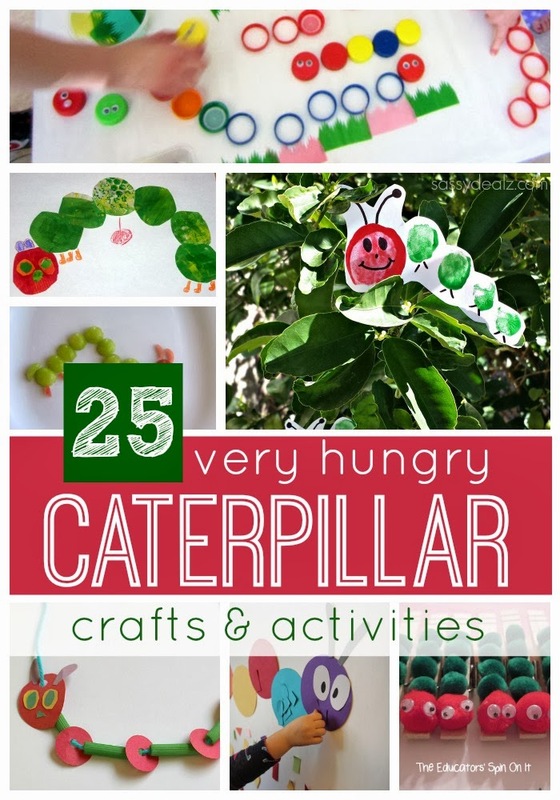 To celebrate the upcoming anniversary and "Very Hungry Caterpillar Day" I have compiled a list of 25 great craft and activity ideas for kids inspired by The Very Hungry Caterpillar by Eric Carle. Click through the list below and check out the crafts and activities to see if any look fun to do along with your kids the next time you read the book. 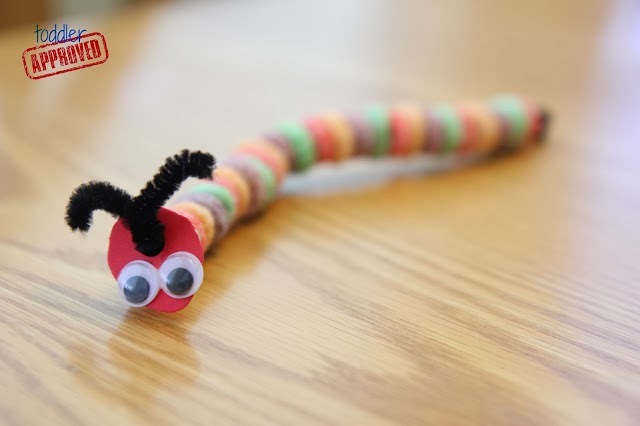 In addition to sharing 25 #veryhungrycaterpillar crafts and activities we are excited that Penguin Kids is offering Toddler Approved readers a super cool anniversary giveaway!! The giveaway prize will help you celebrate Very Hungry Caterpillar day by letting you share this wonderful tale with a friend! · Two copies of The Very Hungry Caterpillar board book (1 to keep, 1 to share)! You can receive up to 5 entries by completing all of the tasks mentioned in the rafflecopter below. The winning entry will be drawn on Wednesday, March 5th. I will notify the winner via email. 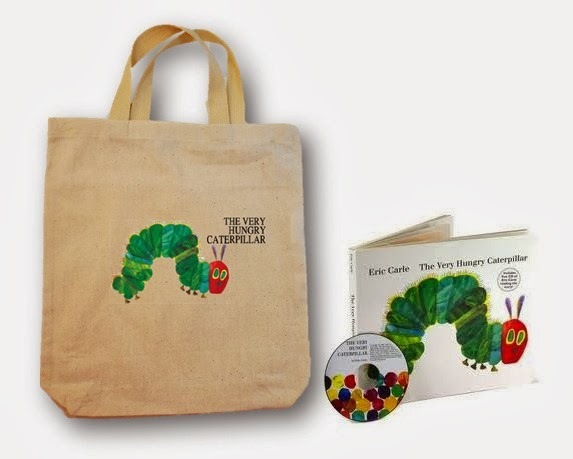 a Rafflecopter giveaway Happy Anniversary to The Very Hungry Caterpillar and Eric Carle! Thanks to Penguin for sponsoring this post and giveaway! 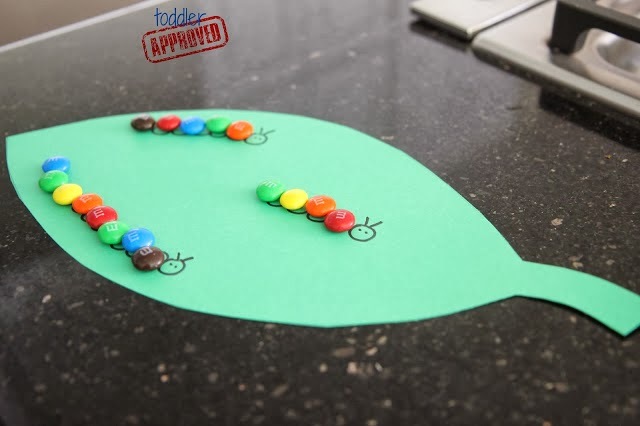 That M&M activity is ADORABLE!! I love Eric Carle and this roundup is amazing, I've posted a couple Eric Carle crafts and had a Very Hungry Caterpillar party and Brown Bear Brown bear party for my boys. I made sure to enter the context to win that bag! Reading 'Very Hungry Caterpillar' is a must do for us at bedtime EVERY night. Would love to try out some of these fun activities for my LO's upcoming birthday party. We read Eric Carle books at our library storytimes. He is so loved. 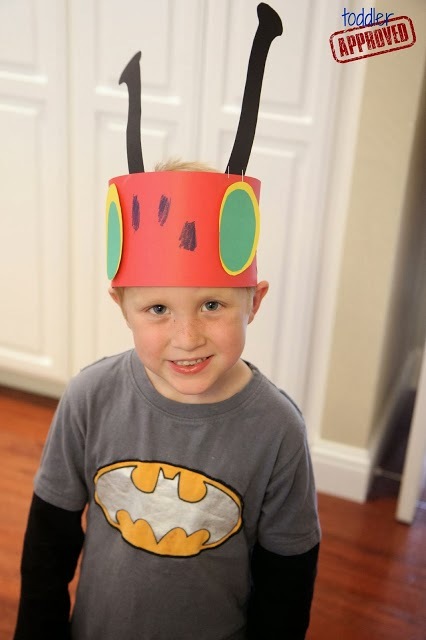 This is so great, The Very Hungry Caterpillar is a must have favorite in this house! 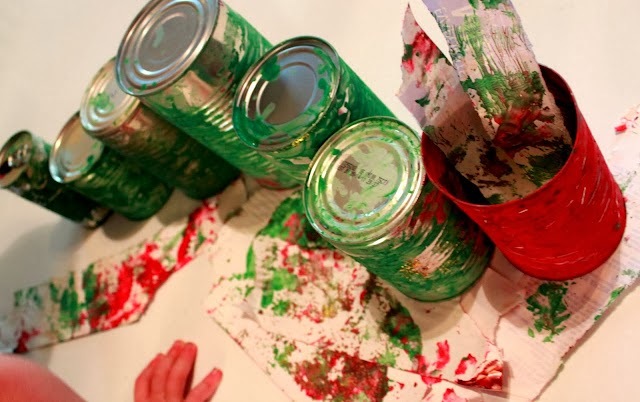 My 18 month old will love painting the tin can caterpillar, and what a cool up-cycling project! I have always loved Eric Carle since I was younger and my kids love it when I read them his books we burrow from the library. They would love to own his books and to have some special surprises too. This would make a special birthday present for my 15 month old. My little girl just went to the Museum in Amherst Massachusetts and it was so fun.. We loved it I've been a fan sice i was little so neat to see her enjoy herself..